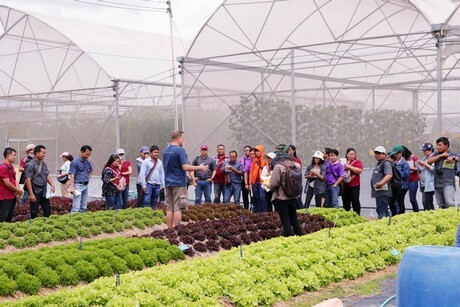 With the Horti Asia coming up next week in Bangkok, many people decided to travel around the country a bit and learn about new techniques and opportunities. Enough reason for Wim Damsteegt and his company Dutch Greenery to open up their demo greenhouse and host open days. 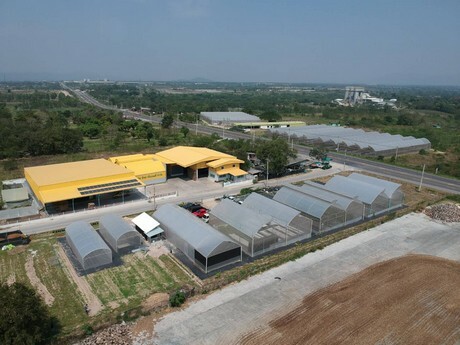 Damsteegt's company has been active in Thai horticulture for twenty years. 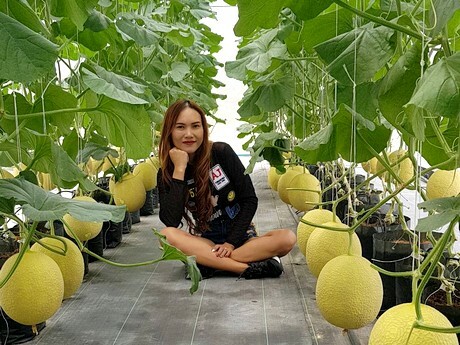 From their warehouses in Pak Chong, they are distributing seeds, substrates, growing systems and tropical greenhouse structures throughout the country. To introduce growers to their concepts, they've also created a demo greenhouse at the Pak Chong farm. During the last couple of days, many customers showed up. "Next week we'll participate at the Horti Asia and since many customers are around now, we've opened up the company. There's a lot of interest in hydroponic farming as well as greenhouses and various growing media and that's exactly what we show at our demo-farm", Wim Damsteegt reveals. "On the exhibition we'll bring various Bas van Buuren products as well as Greenspan greenhouses for those willing to learn about these products as well." For those not keen on lettuce, another remarkable crop is being grown in the demo farm: greenhouse melons. 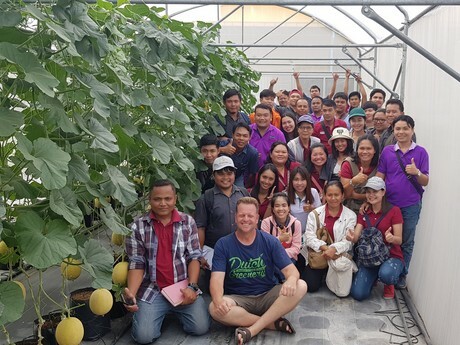 Wim sees opportunities in this crop and works closely with seed breeder Rijk Zwaan, which products will be shown on the Horti Asia as well.